I started my specialisation in cardiology in Leicester in 1996 and was subsequently granted a research fellowship by Leicester University in 1997. I then moved to the South West Cardiothoracic Centre, Plymouth in 1999 where I spent 5 years as a Specialist Registrar in Cardiology, with a special interest in coronary intervention. In 2003 I spent 3 months as an interventional fellow at the St Olav University Hospital, Trondheim, Norway. I was invited back to Trondheim in 2004, to take up the post of a Consultant Interventional Cardiologist for four months. I spent a further three months as a locum Consultant in Cardiology at Glenfield Hospital, Leicester prior to being appointed as the clinical lead for the Coronary Angioplasty programme at the Royal Bournemouth Hospital in 2005. My sub-speciality interest is in coronary intervention and stenting. 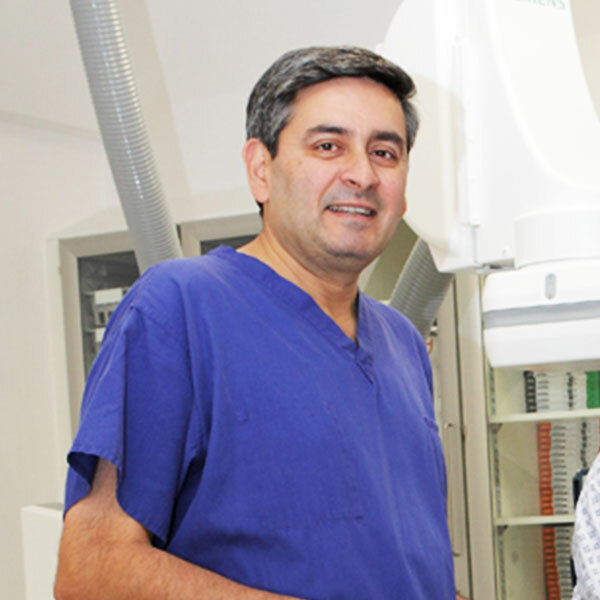 I have performed approximately 10,000 Coronary stenting procedures and am one of the highest volume PCI operators in the UK with an excellent success rate. 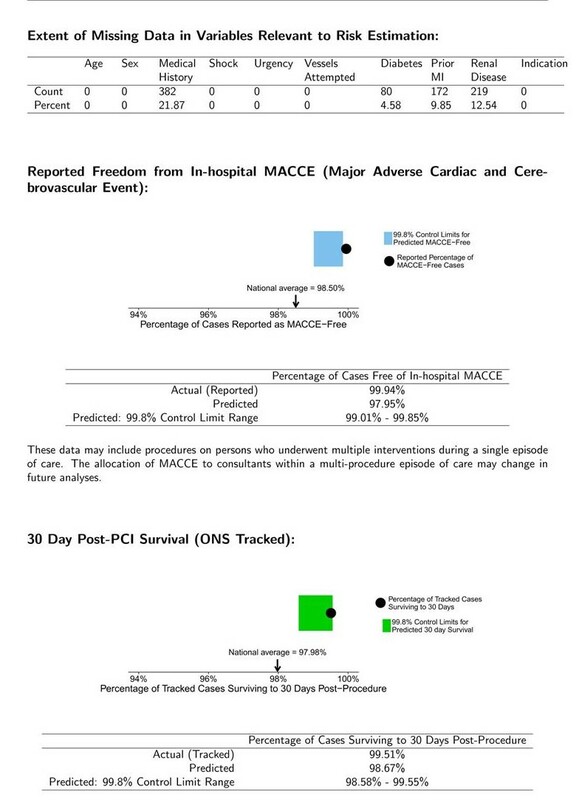 Between January 2012 and December 2014 I performed 1747 PCI procedures with an observed in-hospital major adverse cardiac and cerebrovascular event (MACCE) rate of 0.06%. 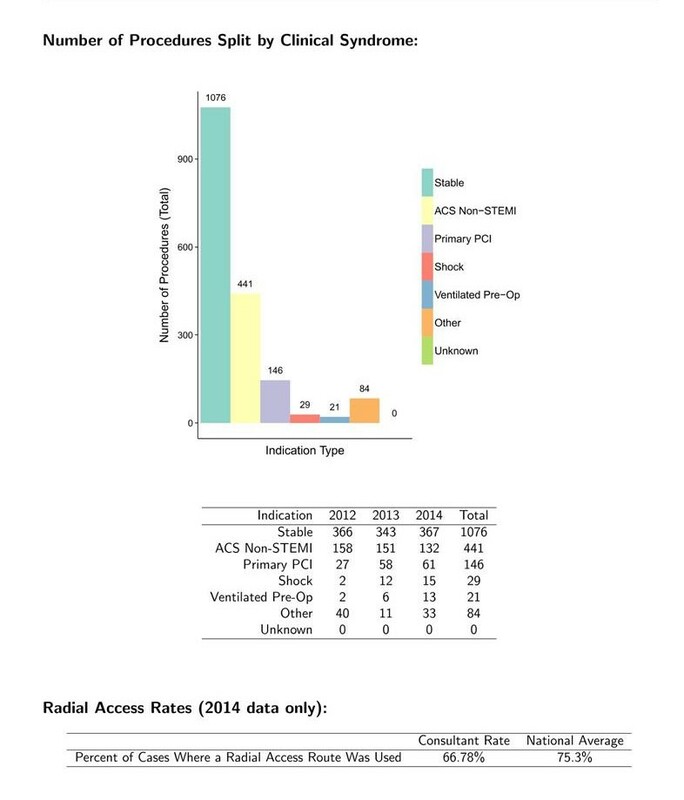 My predicted MACCE rate during this period was 2.05% based on case complexity and the national average MACCE rate was 1.5% during this same period. I have a particular interest in complex intervention. I am a national proctor for rotational atherectomy in the UK. I am a European proctor for laser atherectomy and have trained over 200 physicians from the UK and Europe in this new and exciting technique. I also have a special interest in complex intervention for chronic total occasions. 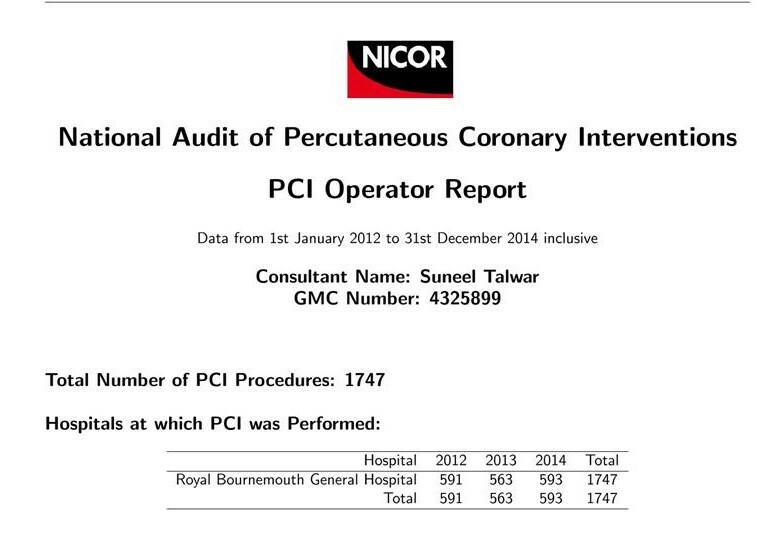 I receive referrals from a number of hospitals for complex PCI including Salisbury, Southampton, Plymouth, Torbay, Truro, Basingstoke and Winchester.